Our Rocky Balboa costume is perfect for an 80’s night or tribute to the great Rocky! 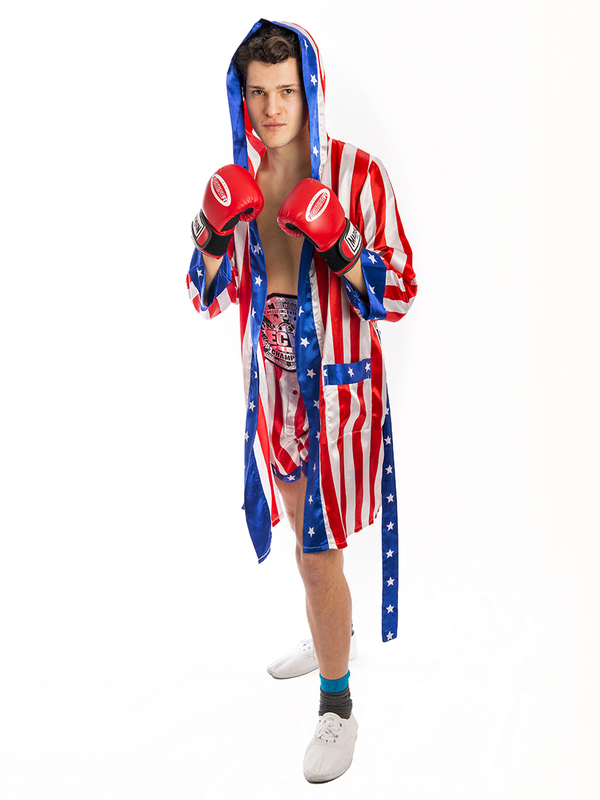 This American boxer costume comes with Trunks, Singlet and Robe. Gloves also available. 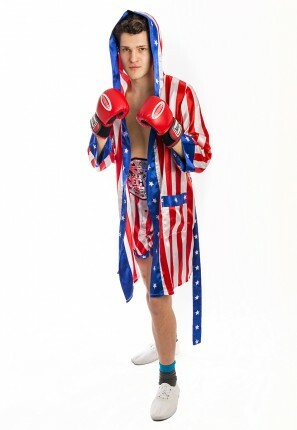 This Rocky Balboa costume would also be great for an American or Olympic themed party.